Cristiano Ronaldo has enjoyed a fine start to life at Juventus ever since touching down from La Liga giants Real Madrid back in the summer transfer window. The 34-year-old bagged a hat-trick on his last appearance for the Old Lady against Atletico Madrid in the Champions League last week. 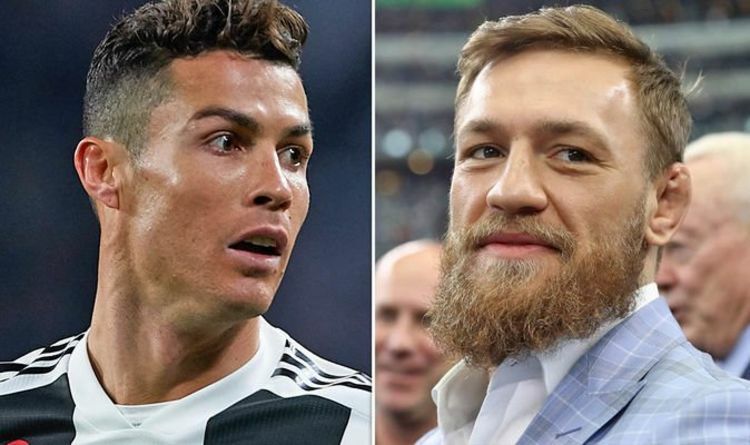 Ronaldo is widely recognised as being one of the best footballers of all time and, now, UFC fighter Conor McGregor has lauded him. The 30-year-old told FIFA: “Cristiano is a phenomenal athlete, person, and entrepreneur. “Just look what he did recently in the Champions League, at 34 years young, a hat-trick under the lights when the pressure was on for all the marbles. “And against Atletico Madrid, one of the best defensive sides in Europe. That is inspiring! “It’s no surprise, is it?” he said of Messi’s hat-trick against Real Betis on Sunday. “They say ‘you wouldn’t be talking about Ronaldo for scoring a hat-trick but you’ll talk about Messi’. We didn’t give him enough.